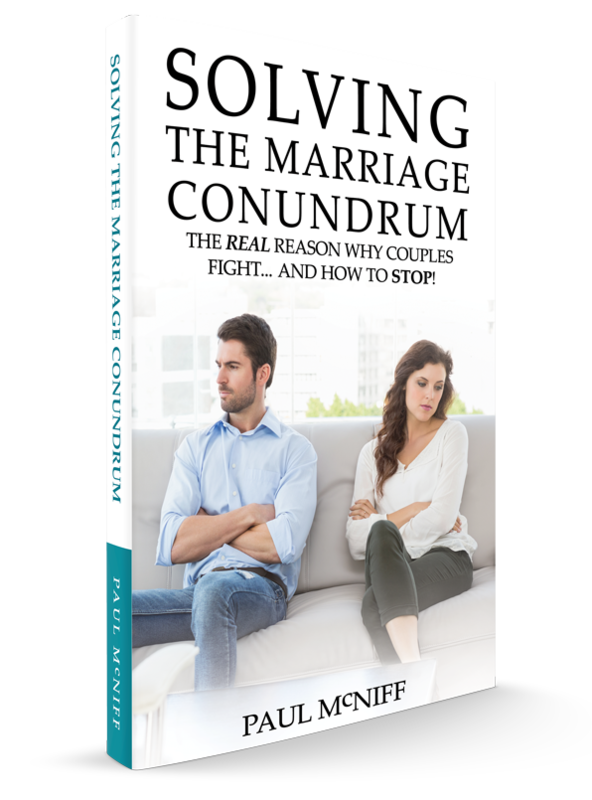 Are you fighting a lot in your relationship or marriage, and looking for a way to stop? In my book: “Solving the Marriage Conundrum“, I’ll show you what has really been creating your relationship problems! Plus I’ll show you exactly what you need to do—step-by-step—to stop fighting, get past the issues… and make your relationship great! Paul McNiff (@_PaulMcNiff) is a Psychotherapist, coach, speaker and author, who helps people to take back their power, and make their lives and their relationships great! Enter your details below to read the first few chapters for free. My passion lies in helping people to get past their issues, so they can make their lives and their relationships great! Believe me; if you really want to change things, you CAN! Are you ready to take back your power... and make your relationship great?